This holiday season, I baked a lot. Something I have learned is that who you are baking for matters. For example, you’re having a party. You make three dozen blueberry muffins, and nobody at the party likes blueberries but you. It just doesn’t work. The holiday season is just like that. People are grumpy and tired and picky about what they are eating. Buying presents and making cards is tiring. You always need a batch of fresh-baked, warm cookies on hand. 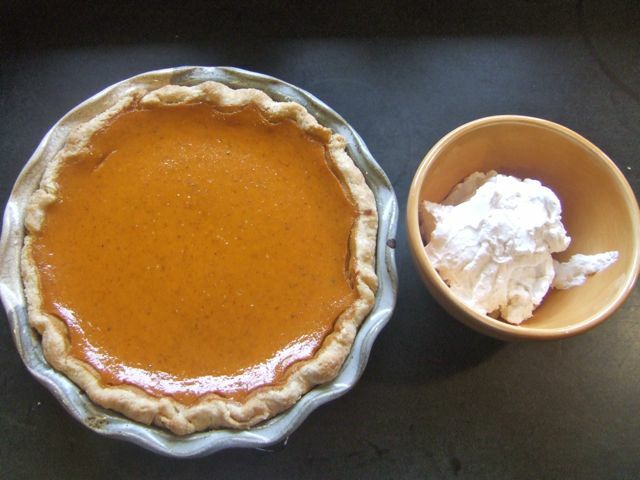 The worst thing that I baked this holiday was probably the pumpkin pie that I poured way too much filling into. It wasn’t a disaster, just a little chaotic. The best thing I baked this holiday were the three dozen sugar-cookie cutouts frosted with royal icing. The cookies had just enough butter and flakiness, and the icing looked perfect. I also made four other pumpkin pies, a mixed berry cobbler, oatmeal cookies, banana bread, and chocolate-chip cookies. Oh, and banana muffins with mascarpone cream frosting. I am a huge fan of banana. The muffins were amazing! Moist and perfect. If you would like to try them, check out the recipe — it's a Giada De Laurentiis recipe on the Food Network's website. I feel annoyed because I have not yet had the time to actually try a loaf of bread. I have told many people I would, and I still haven’t. I feel like I am busy, but I’m not.